I always loved the elegance and the flow of the waltz. shuffled me to the dance floor and said, "Waltz with me"
I said, " I don't know how!" He said, "You will in a minute. so beautiful on his feet. I thank you Uncle Ed and miss you. Waltz is a smooth progressive dance characterized by long, flowing movements, continuous turns, and rise &amp; fall. Graceful and elegant, Waltz dancers glide around the floor almost effortlessly. The American style is punctuated with lavish open movements, underarm turns, and solo spins. 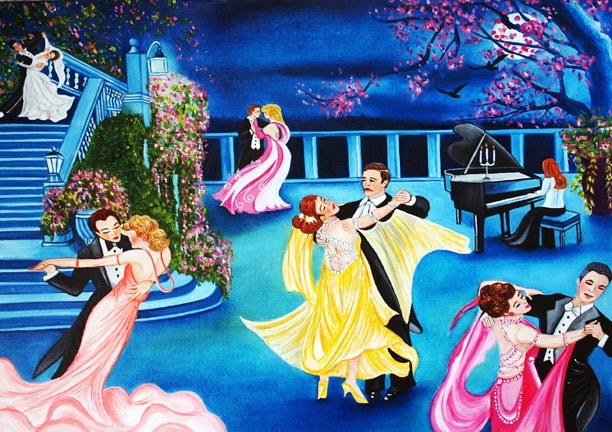 The Waltz is the oldest of the ballroom dances dating from the middle of the Eighteenth Century. The German "Lander", a folk dance, is supposed to be the forerunner of the Waltz. 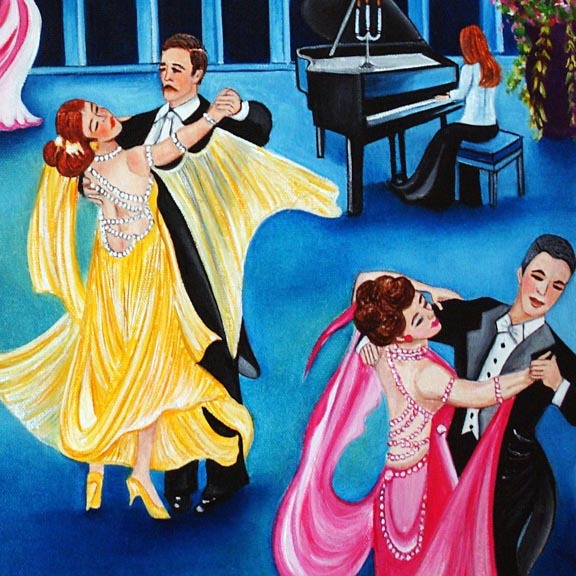 It came as a surprise to learn that the waltz was once considered to be a forbidden dance. It once held this reputation because partners were permitted to make contact. Such contact had never before been seen in the dance halls of Vienna.